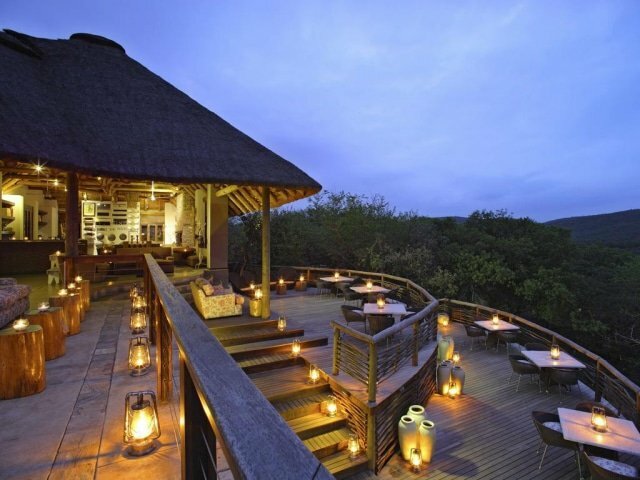 Described as “Seven Worlds of Wonder”, &Beyond Phinda encompasses an impressive 28 555 hectares (70 560 acres) of prime Big Five wilderness in KwaZulu-Natal. This Reserve comprises seven distinct habitats – from dry sand forest to wetland systems and mountain ranges. Catch a glimpse of the shy suni antelope, track rhino in the bushveld, observe breeding herds of elephant in fever tree forests, hold your breath as a cheetah teaches her cubs to hunt, glide past hippo on the Mzinene River and marvel at the gracious nyala. Phinda is home to more than 3 000 of these rare antelope.